Introducing 18 year Jamaican native Mikayla “Koffee” Simpson, who today releases her debut single Toast on Columbia Records. Listen to the track - Produced by Walshy Fire of Major Lazer and iZyBeats, Toast arrives as an ode to everything Koffee is thankful for in her life, her family and friends and the “blessings” that surround her on a daily basis. 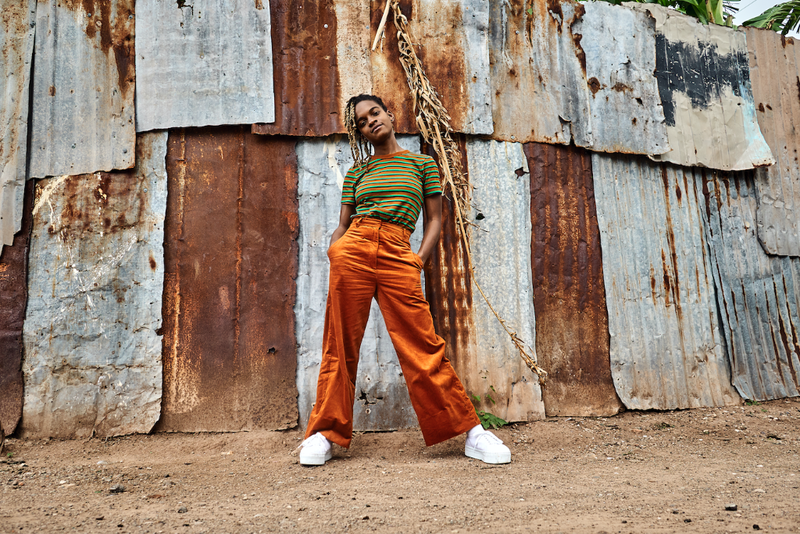 Born in Spanish Town, just outside of Kingston, Jamaica, Koffee began writing lyrics in her bedroom having been inspired by the likes of reggae legends Proteje and Supercat, to more recently, Chicago rapper Smino and UK Rap star Giggs. In January 2018, reggae hero Coco Tea brought Koffee onto the stage at Rebel Salute; her idol Proteje also asked her to perform with him, while Grammy nominated Chronixx, one of the island’s biggest contemporary reggae stars and another huge inspiration, invited Koffee to join him on Seani B and Mistajam’s recent 1Xtra shows broadcast from Tuff Gong Studios. Although small in stature and disarmingly unassuming Koffee’s modesty – and height – belies huge amounts of talent. The 5’0, self-described “sing-jay-guitarist” is one of the most exciting, forward thinking, globally focused teenage talents to emerge this year. And having just played a string of shows with her hero Chronixx earlier this week in the UK at BBC 1Xtra Introducing Live, Alexander Palace and the Zincfence Sessions at Bush Hall, Koffee is poised and ready to take over in 2019.